Even though tires have a shelf life on the road, they don'tto banished to landfills for the rest of eternity. 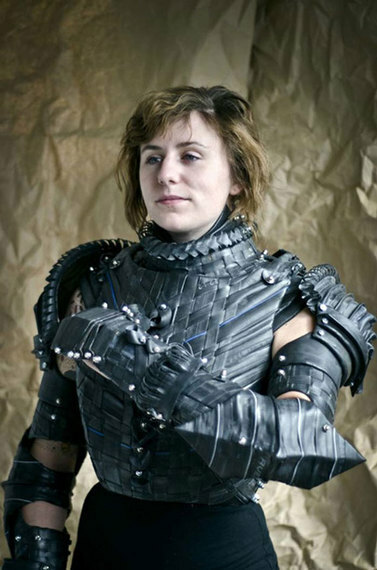 Instead, you could turn them into cool planters, playground equipment, and even... suits of armor?! There's a good reason tires are designed to take a lot of heat. They need to be rugged to handle pot holes, high speeds, and other snags that come along during the journey from point A to point B. 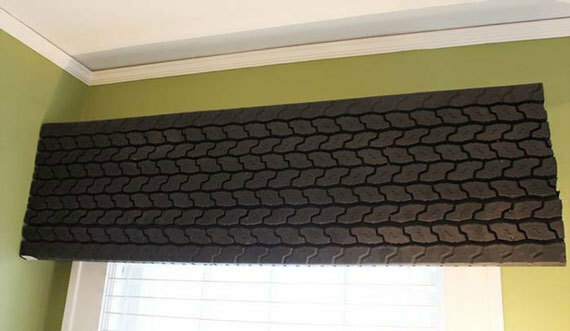 Even though tires have a shelf life on the road, they don't have to banished to landfills for the rest of eternity. Instead, you could turn them into cool planters, playground equipment, and even... suits of armor?! 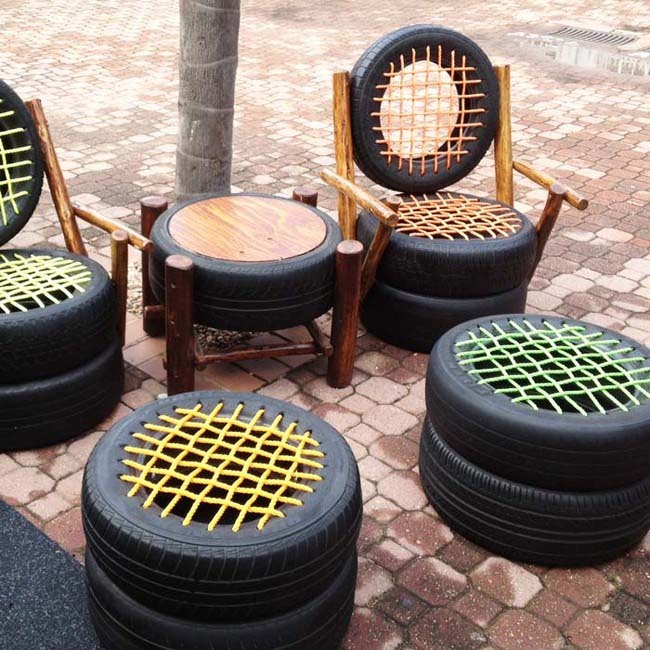 Check out the 20 tire creations below, from the practical to the pretty strange. One of these ideas is sure to inspire you! 1. With spray paint and a piece of glass, you've got a cute outdoor table. 2. Want to make some giant tea cups? 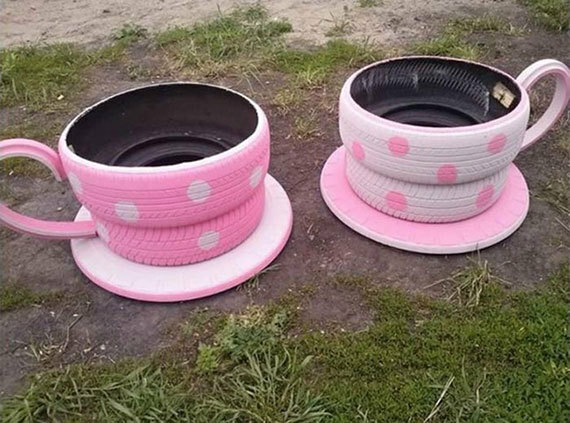 Grab some spray paint and a few old tires. 3. 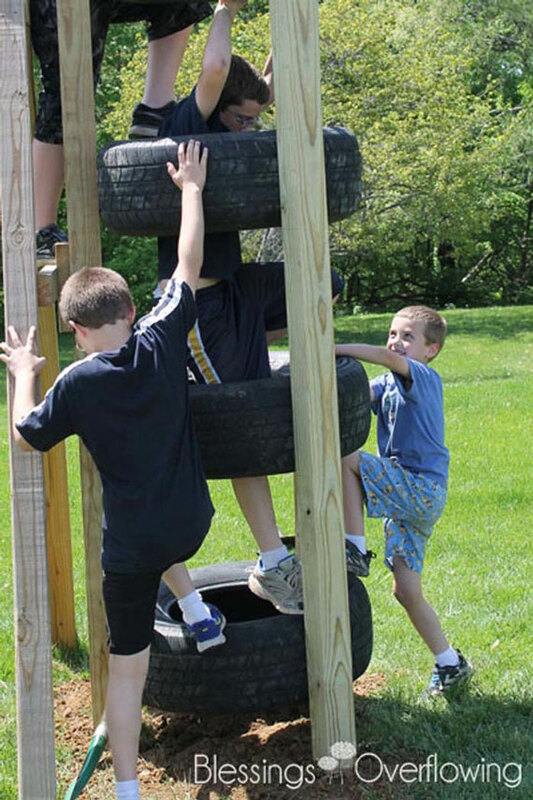 With some wooden beams, you can turn a few tires into a kids' climbing tree. 4. Are you a doomsday prepper? 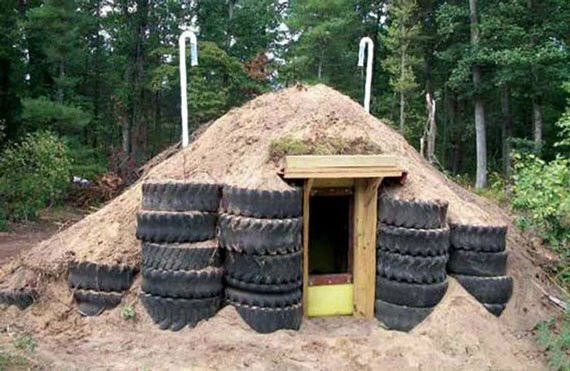 Build a storm shelter with old tires. 5. 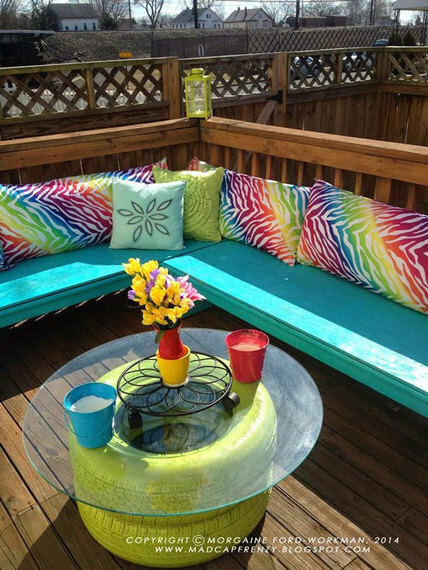 Use colorful rope to weave chair seats and ottoman covers. 6. 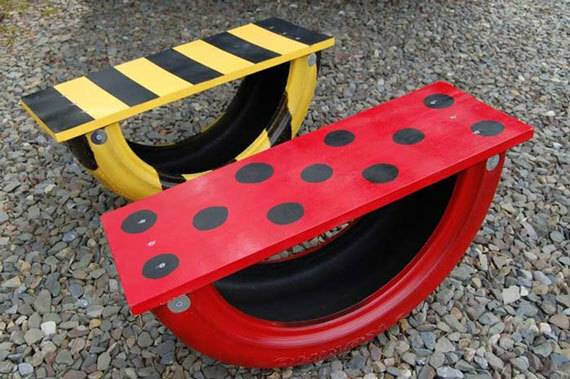 A lot of playgrounds use shredded tire chips to protect kids from getting hurt. 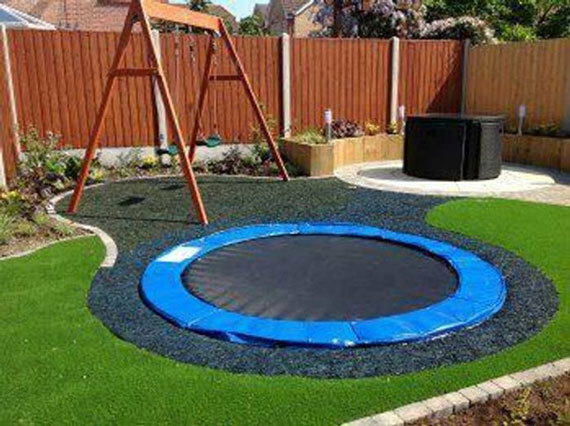 They're also great for surrounding things like in-ground trampolines. 7. 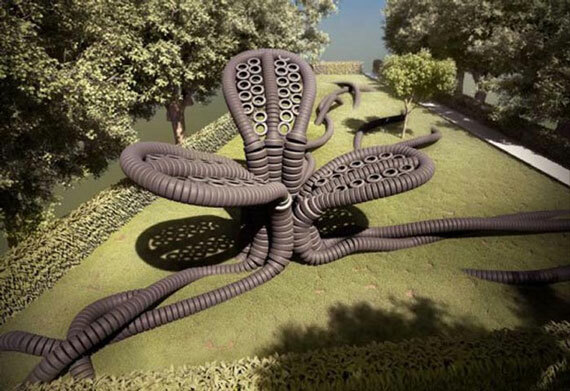 This playground is built entirely out of old tires. 8. 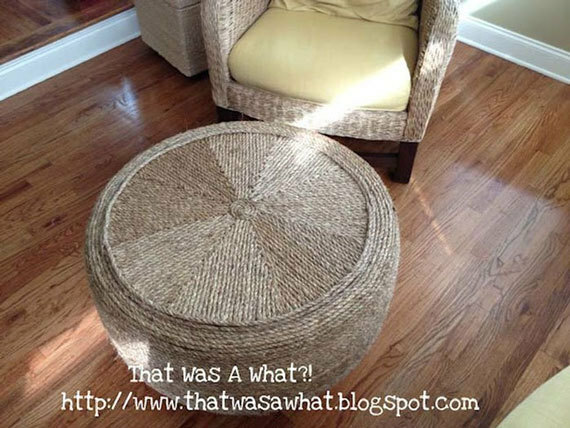 Wrap a tire in twine for a cute, nautical ottoman. 9. 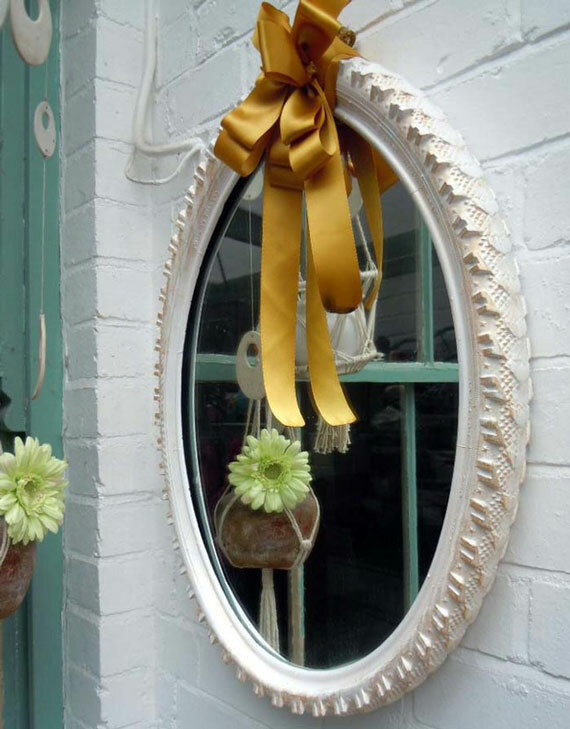 The frame of this mirror is an old bike tire. 10. This strip of tire tread dresses up a car-themed kids' room. 11. 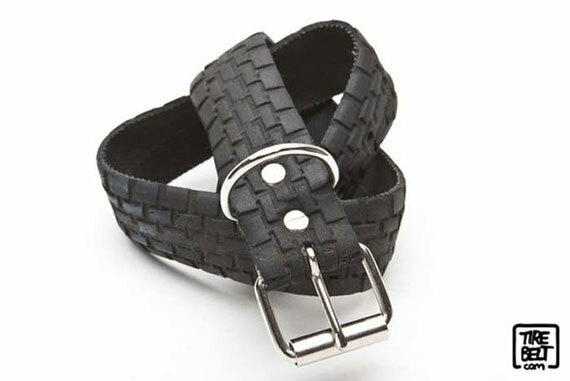 You can try and make this tire belt yourself, or buy it here. 12. 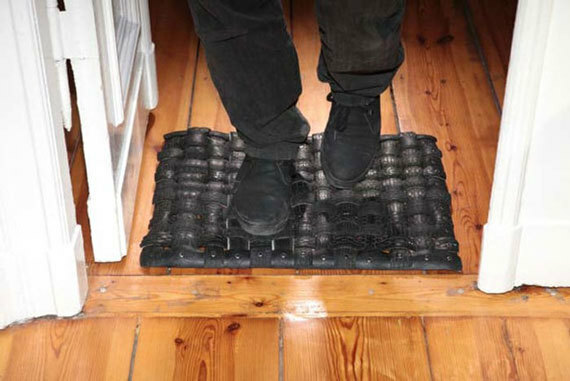 You can also make or buy this hand-woven tire welcome mat. 13. 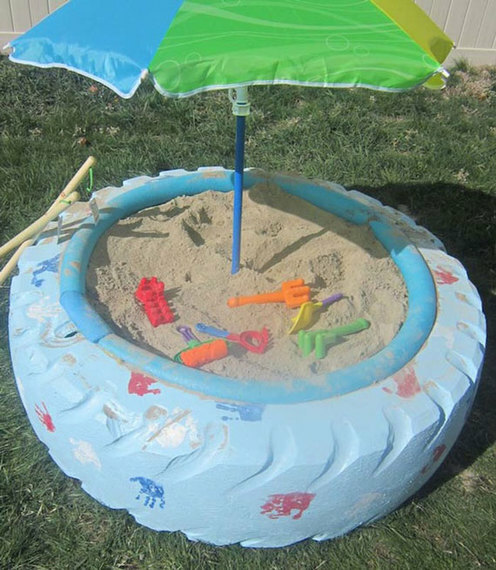 Fill a giant tire with sand and you've got an instant sandbox. 14. This woman made a suit of armor out of tires. To each their own, I guess. 15. These personal see-saws are a unique way to upcycle old tires. 16. Hang a tire on your storage shed and use it as a planter. 17. With a fluffy pillow, a tire becomes a dog bed. So cute! 18. 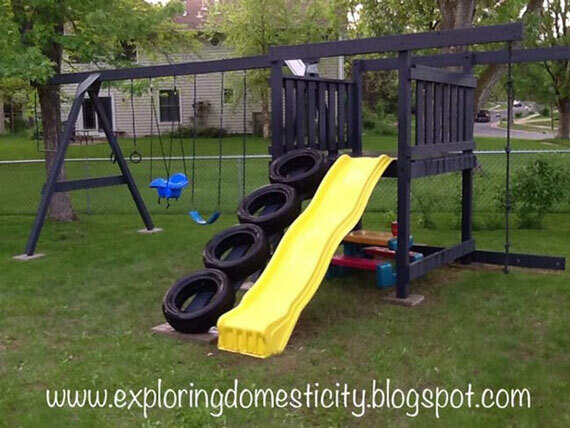 Make a tire ladder for a swing set. 19. 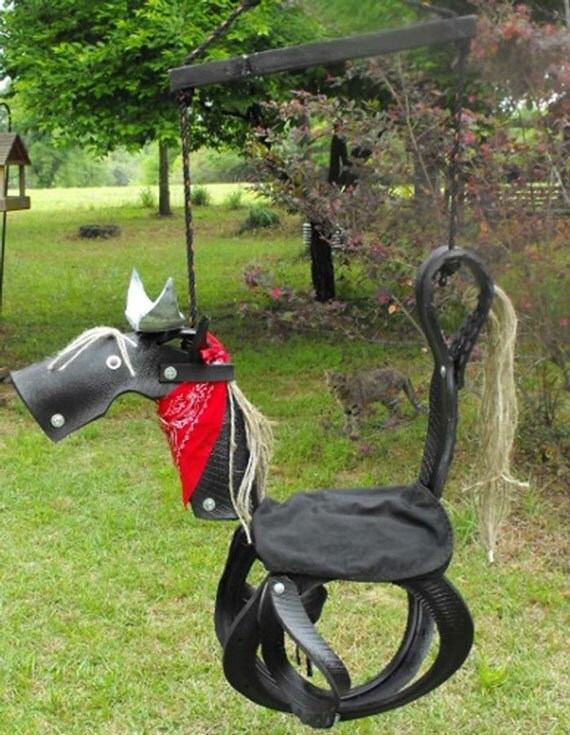 Make a non-traditional tire swing, or buy this one here. 20. 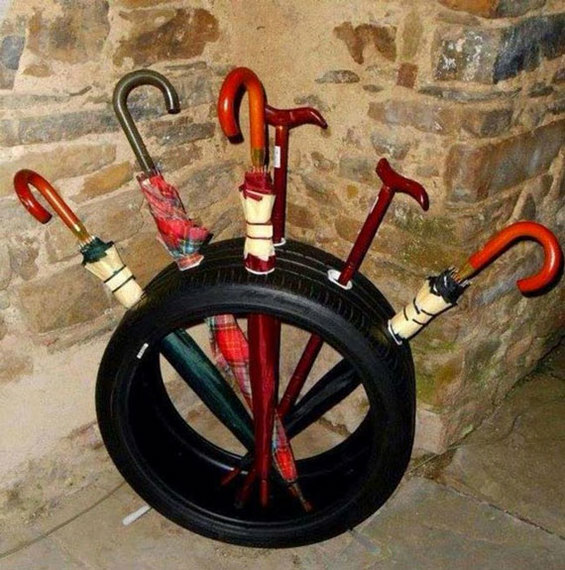 Poke some holes and turn an old tire into an umbrella holder. That dog bed made out of a tire is the cutest thing I've ever seen! I have a few family members that love cars almost as much as they love their fur baby. 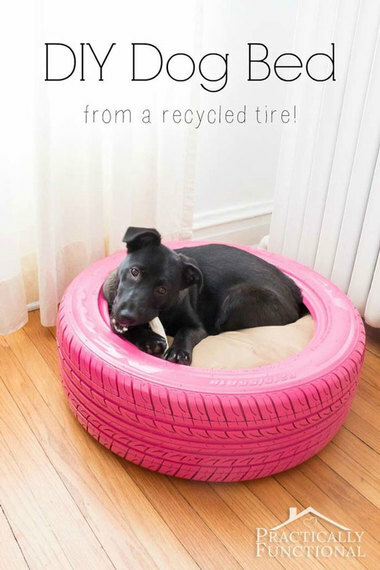 A tire dog bed would make a great birthday gift! Which one of these ideas made you gasp... and which one made you scratch your head? 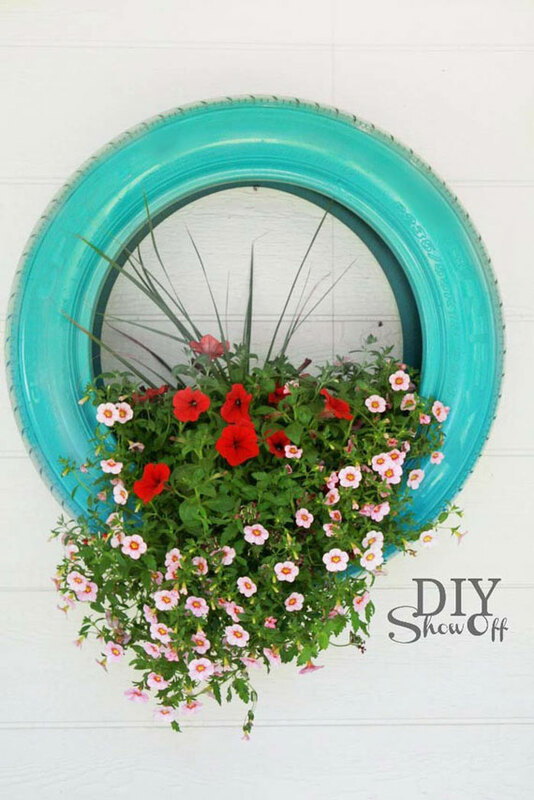 Craving more DIY inspiration? Check out these awesome articles! Forget S'mores, THIS Is How You Should Eat Marshmallows -- No Fire Pit Needed.